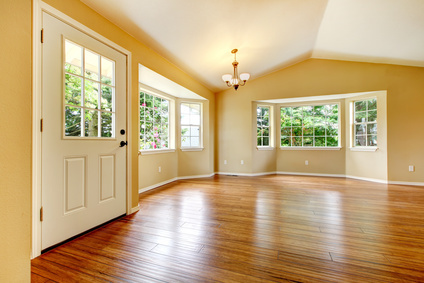 Wood floors add beautiful durability to your home. However, they need to be properly cared for to maintain the qualities that caused you to fall in love with them in the first place. Perhaps the most important factor you need to consider with your wood floors is the finish you use on them. There are so many finishes on the market that the choices can become overwhelming. 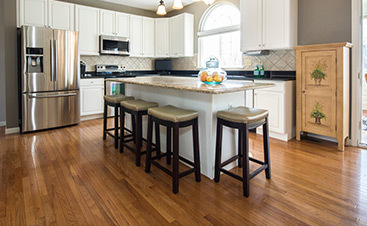 Here are some tips for choosing the best hardwood floor finish to meet your needs. Before you can choose the best finish, you should know what the purpose of finish is. Finish enhances the color and texture of the floor. Specific types of finish add other qualities. It is important to pick the right one to achieve the final look you want to achieve. 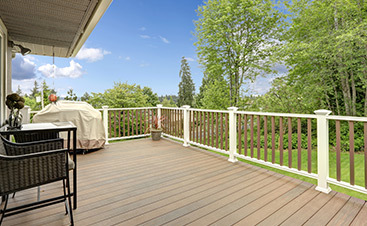 There are two basic types of hardwood finish: surface sealers and penetrating sealers. Surface sealers coat the top of the wood and create a barrier between the wood and anything on top of it. On the other hand, penetrating sealers seep into the wood and fill the pores to protect it. These finishes require more attention that surface sealers do. Oil-based finishes have protective ingredients such as plasticizers and synthetic resins. These ingredients make the floor more durable yet easy to maintain. It is easy to add several coats of an oil-based finished, and the color tends to mellow with age. It is the perfect choice for high-traffic areas that will be subject to a lot of wear and tear and require a moisture-resistant finish. Some points to notice about oil-based urethane are that it dries slowly, it is flammable, and it adds an amber shade to the floor. Water-based finishes provide a clear finish with no yellowish tint. It contains synthetic resins and plasticizers to produce a durable, non-combustible finish that is incredibly resistant to moisture. Due to its extreme durability, it is often used for commercial purposes. It is the best choice if you are looking for a finish that dries fast and can be easily recoated easily when necessary. Moisture-cured urethane finishes are difficult to apply and should only be done so by a professional. The moisture-curing process causes the polyurethane to absorb droplets of moisture as it dries and then hardens. The result is a surface that is durable and resistant to liquids. It is the perfect finish choice for areas that are exposed to high amounts of moisture or that have the potential for frequent liquid spills, such as a kitchen. This type of sealer can either be made from natural oils or be solvent-based. When the wood is sealed with this type of sealer, it soaks into the wood to seal it. As the sealer dries, it makes the wood harder. Wax may be added to improve the sheen. Floors that are finished with this type of sealer are stunningly beautiful. But you should refrain from using any water-based products on the floor after sealing it. Wax is a popular finish for a hardwood floor because it is easy to apply and dries quickly. Another benefit of a wax finish is that it is easy to repair any scratches and scuffs on the floor. Wax finish should be applied in a thin layer to produce a protective layer that can be buffed to a high sheen. Although wax finishes are designed to last for many years, occasional maintenance is needed. Extra-durable finishes are generally made of acrylic or conversion-varnish. These finishes are long-lasting and allow floors to look their best for several years. Manufacturers will often tell consumers to expect these finished will last for up to ten years. Many factors go into choosing the right hardwood floor finish. When you take into consideration how you want your floors to look, how much abuse they take, and how much effort you want to put into the upkeep of your floors, you can make the right choice. 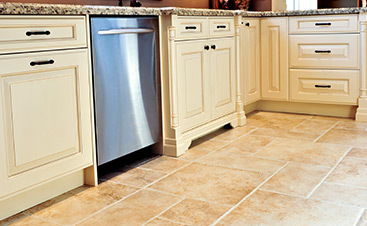 Work with a flooring professional who understands your needs and can achieve the perfect finish.